Unless you grow your own vegetables and fruits and raise your own livestock, and eat nothing else, you are constantly being bombarded with chemicals and toxins found in today’s modern food. And because of this, most of the things we put in our mouths makes us a little less healthy every day. The majority of food items purchased at the grocery store and manufactured by big name brands contain toxins like BPA, genetically-modified food, aspartame, fluoride, pesticides and toxic vaccines and we aren’t even aware of it. According to the CIA’s World Fact Book, The United States ranks 42 in life expectancy. The world’s greatest super power in the #42 spot? Malta beats us? The Faroe Islands beat us? Do any of us even know where they are? Doesn’t matter, they’re in the 34th slot. So the United States, a country that spends more on healthcare than any other nation each year, is not a very healthy place to live turns out. This country’s citizens are developing increasing incidences of heart disease, diabetes and cancer. And why do we suppose this is? Are we just making unhealthier choices? No doubt some of the responsibility is on our shoulders as more of us reach for processed garbage and call it food. But the fact is there are chemicals in our food that have been approved by the FDA that are so dangerous and toxic they have been banned by other countries. Are you angry yet? You should be. And in spite of testing and data that has been collected, proving that much of what is in our “food” is harmful and even deadly, corporate food giants like General Mills, Kellogg’s and Nestle continue to lobby and push to continue their abhorrent business practices. Once you start to become educated on what chemicals and toxins are doing to our health, and then start reading labels, you will begin to know deeply that we are slowly and steadily being poisoned. It seems like every year “they” are coming out with a new calorie-free artificial sweetener. Aceslfame Potassium (just the name alone sounds like something off of the periodic chart), is far sweeter than sugar but is thought to have a bitter aftertaste. You’ll most likely recognize the names it is marketed as “DiabetiSweet” and “Sweet One.” It is used in gelatin desserts, baked goods and chewing gum. Possible side effects of this additive are, according to research studies, lung cancer and thymus gland tumors in rats, as well as leukemia and breast cancer. You’re most likely familiar with this artificial sweetener that is marketed under the names “NutraSweet” and “Equal.” It is common for diabetics to reach for aspartame instead of regular table sugar because it’s supposed to be healthier for them. You’ll find this artificial sweetener in a lot of common sugar-free beverages, candy, gum, low-calorie desserts, power bars and even some brands of chewable vitamins. Bottom line, this dangerous sweetener is literally in thousands of different food and drink products. And here’s the real kicker, it is actually marketed in a lot of… wait for it… “health products.” According to some health experts, this additive is one of the most toxic substances being added to our foods. In fact, one recent study showed just how damaging it can be. In the study, participants were put on either a high aspartame diet or a low aspartame diet. After just 8 days of eating HALF what the FDA says you can safely consume, participants had more irritable moods, exhibited more depression, and performed noticeably worse on certain brain function tests. Think twice before you drink that diet soda! BHA and BHT are Petroleum-derived antioxidants and are primarily used in the preservation of fats and oil. They prevent these foods from oxidizing and spoiling too quickly. You can find them in chewy granola bars, breakfast cereals, potato chips, shortening, desserts, and candies, to name some of the food items. These oxidants have the ability to form potentially cancer-causing reactive compounds in your body. In fact, this is why they’re banned in nearly every country on Earth – except the United States. 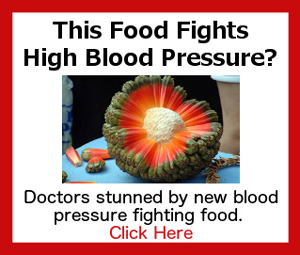 They can also raise your cholesterol, cause liver and kidney damage, immune disorders and infertility. Growing up as a kid, I remember eating microwave popcorn by the bucketful. So when I discovered just how toxic it was to my brain, I was severely disappointed. And I’m sure you are too! 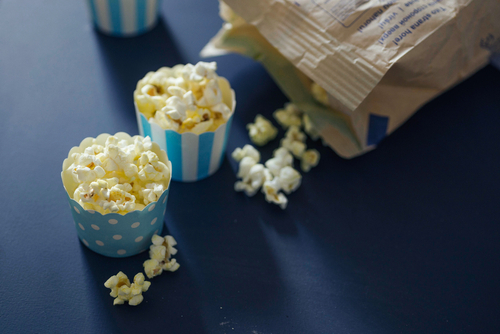 But the fact is, microwave popcorn usually contains butter flavoring with an additive called “diacetyl”. Diacetyl is able to cross the blood-brain barrier. Doing this allows harmful substances, such as beta-amyloid, to enter your brain. If you don’t know, beta-amyloid clumping is a significant indicator of Alzheimers. So if you love popcorn but want to protect your brain, look for phrasing similar to “artificial butter flavor” or “natural flavors” on the label. If so, run the other way. Or better yet, make your own the old-fashioned way (in a pan or air popper) and put some grass-fed butter on it. Butter is a great source of vitamin A and fatty acid butyrate, which reduces chronic inflammation and counters neurodegenerative disorders such as Alzheimers and Parkinson’s. We thought we’d end on this last one because some people still don’t know the truth about fluoride or are simply in disbelief about it. For decades we were told that fluoride is necessary to grow strong teeth. And we bought into it. And then eventually studies were conducted that showed just how dangerous it is. Our government puts fluoride in our drinking water because it’s “good for our teeth” or at least that’s what they tell us. And despite the warnings of scientists and medical experts, they have no intention of ever stopping adding fluoride to our municipal water. You’d think they’d be thrilled with how much money and time they’d save not having to continue treating the water. Are they really that concerned about our teeth, or do they have an ulterior motive? Regardless of their reasons, the facts are clear…over 300 studies have clearly shown that fluoride is a neurotoxin (a chemical that damages your brain)! In 2006, the National Research Council (NRC) announced that “it is apparent that fluorides have the ability to interfere with the functions of the brain”. They also added concerns about fluorides contribution to dementia. There are at least 297 other studies showing similar results. The good news is, if you’ve been having “senior moments” lately, it’s not too late. In this article I’ve shown you just 5 toxic substances you’re probably putting into your body on a daily basis. If you eliminate these 5, you should see a noticeable increase in your cognitive function. However if you want to revive your mind and protect yourself from the horrors of losing your independence as you age, you must do more. That’s why we put together a special presentation showing you exactly why your brain has declined so rapidly lately, and what you can do starting TODAY to enjoy a more clear, sharp mind without worrying if you’ll end up in a nursing home. Keep the health info coming !